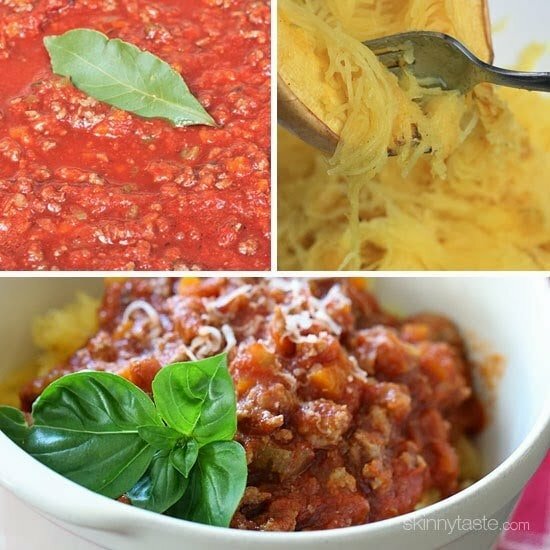 This is my go-to spaghetti squash meal! Roasted Spaghetti Squash topped with a simple-yet-delicious Beef Ragu sauce simmered with tomatoes, onions, carrots and celery. It’s so good, you won’t miss the pasta! I love swapping pasta for spaghetti squash, especially with dishes that are saucy and flavorful like this one. More spaghetti squash recipes I absolutely love are Baked Spaghetti Squash and Cheese, Spaghetti Squash Enchilada Bowls and Spaghetti Squash Primavera. You cut out a great deal of carbs and calories by swapping out the pasta for spaghetti squash which also happens to be gluten-free and grain-free. 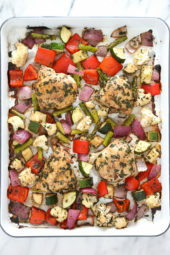 The beauty of this dish is you can totally make this family friendly. 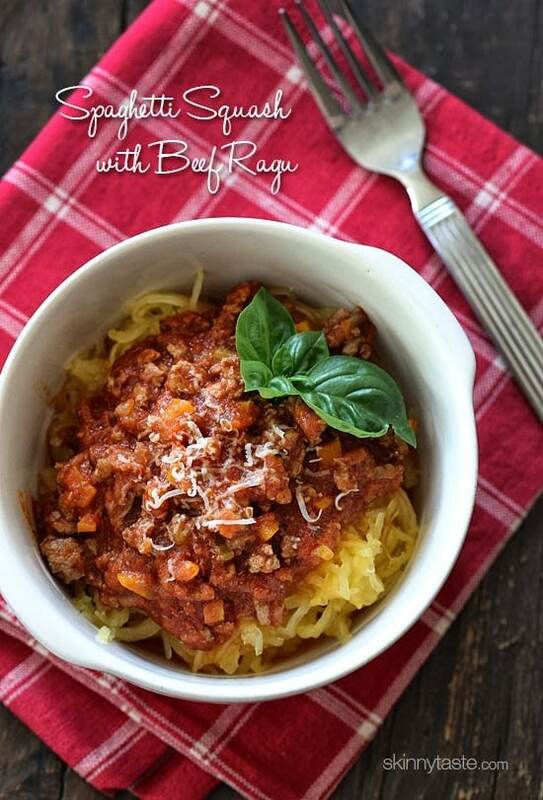 I know my kids prefer to have their meat sauce with pasta (plus they need their carbs too) so I cook some pasta for them and serve this with spaghetti squash for my husband and I. It’s a very generous amount and extremely satisfying. Of course, you can swap the beef for turkey if you wish, and you can certainly make the spaghetti squash in the microwave which is so much quicker. The sauce can be frozen for a later date and reheated when for a busier night. I’ve never tried freezing spaghetti squash, anyone out there know if I can? So there you go, a meal that can make the whole family happy – gotta love that! 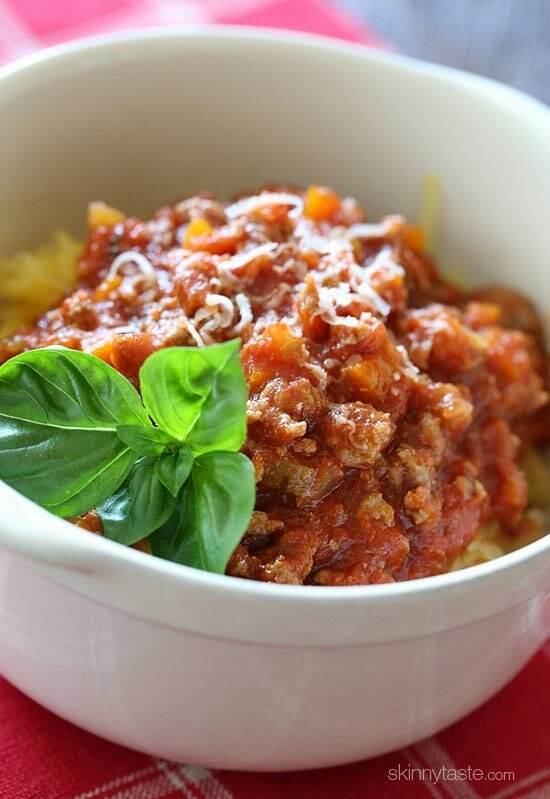 Roasted Spaghetti squash topped with a simple-yet-delicious meat sauce simmered with tomatoes, onions, carrots and celery. I love this low-carb dish, you won’t miss the pasta! 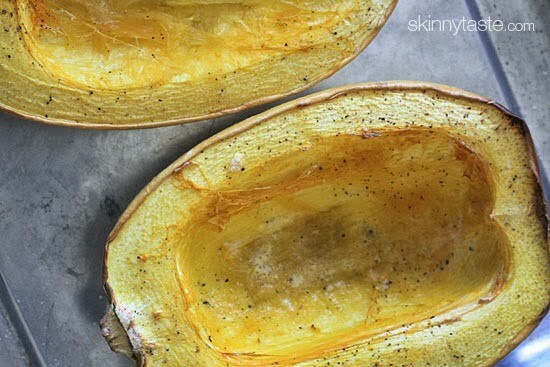 Cut spaghetti squash in half lengthwise and scoop out seeds and membrane. Season with salt and bake about 1 hour, or longer if needed on a baking sheet, cut side up. If you prefer the microwave, cut squash in half lengthwise, scoop out seeds and fibers and place on a microwave safe dish and cover. Microwave 8-9 minutes or until soft. In a large deep sauté pan, melt butter and add oil. Add onions, celery and carrots and sauté on medium-low for about 3 to 4 minutes, until soft. Add the beef and season with salt. Brown the meat and cook, breaking it into smaller pieces with your spoon until cooked through. When cooked, add the tomatoes and adjust salt and pepper to taste. Add wine and simmer until it reduces a bit, then add bay leaf and cover, reducing heat to low. Simmer at least an hour, stirring occasionally. 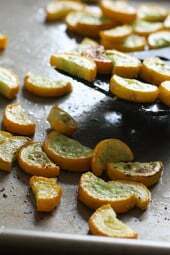 When spaghetti squash is cooked, let it cool for about 10 minutes. When cool, use a fork to remove flesh, which will come out in spaghetti looking strands. Keep covered and set aside keeping warm until sauce is ready. 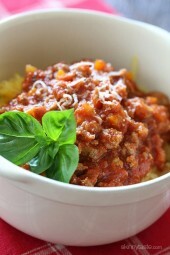 Serve topped with meat sauce and grated parmesan cheese, if desired. Sauce sounds great, going to give it a try. I do a version of this where I roast the spaghetti squash and make the meat sauce, then combine them. I put the mixture in ramekins with a little mozzarella on top and bake them. Garlic powder, kosher salt, and a little EVOO on both the flesh side and outside when roasting the spaghetti squash make it taste amazing. I added a chopped red bell pepper and 8 oz of sliced crimini mushrooms, as well as dried basil, orgago, and thyme. And put in a couple sprigs of fresh rosemary when I put in the bay leaf. Used ground turkey. Just one of 5he best meat sauces I’ve ever made. Will make often and use for spaghetti squash and other things. hi gina – could this be made like your similar instant pot sauce recipe – 15 min high pressure, natural release? thanks! White wine or white wine vinegar? Thanks!! This will be my first attempt at spaghetti squash. In 2 recipes you said to place cut side down in one, and cut side up in another. Does it really make a difference? I’m going to try the Bacon Parmesan Spaghetti Squash first. Works both ways but I like cut side down. You asked if spaghetti squash can be frozen. I’ve tried it when I had extra. Turned out awful. I don’t recommend freezing. Although I regularly freezer recipes contains spaghetti squash and it turns out great! Go figure. 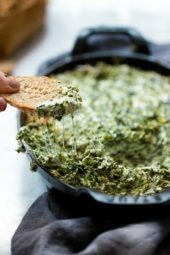 This recipe is in my regular rotation. So so good. I use red wine instead of white and add 1tsp of an Italian seasoning blend.